Paying for features you aren’t using? We get it. We’ve simplified sales and marketing software for small business and backed it with the best team on planet earth. Competitive Pricing. No Startup Fees. When compared to Salesforce, Hatchbuck is an affordable CRM option for small businesses. Our easy-to-use platform gives you sales and marketing under one roof – right out of the box. You can get up and running quickly – without hiring an expensive consultant. Mid to Enterprise Lightning Professional $75 Yes No No - Pardot integration starting at $1K/mo. With sales and marketing under one roof, you can keep a pulse on your business. Our simple CRM was built for the busy small business owner. Find, track, and manage contacts. Make certain that you never let another deal slip through the cracks. Drag & Drop Builder. Pre-designed Email Templates. Plain Text. Or Code Your Own. Email Marketing is still one of the most effective ways for your small business to reach your audience. 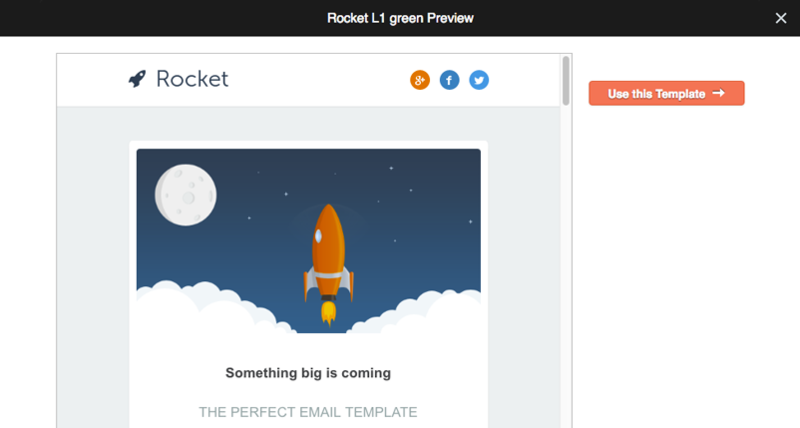 With Hatchbuck, there’s no need to invest in a standalone email marketing platform. No matter what your skill level, we’ve got the email marketing tools to help you reach your audience with your unique message. Unlike Salesforce, Hatchbuck comes with marketing automation right out of the box so you can automate follow-up based on your contact’s preferences. Let Hatchbuck dynamically segment your list based on their interests, create tasks, and notify your sales team with hot lead alerts. With marketing automation running in the background, you can focus on what you do best – building relationships with prospects and customers. If you’re like the majority of our small business clients, marketing automation is a new territory. That’s why we offer free training and ongoing support. We know that it’s not enough to just learn how to use the app. We’ll help you to nail down your sales and marketing strategy and put a sales and marketing process in place. What I like best about Hatchbuck is that it’s a DIY solution for small businesses that don’t need the feature set of a large CRM like SalesForce. The company is easy to work with and the system is very user friendly. Hatchbuck is perfect for small businesses looking for growth without the expenses of SalesForce.